The legendary Dragonfly Ranch: Healing Arts Center in South Kona on Big Island is offering the “Dragonfly Transformational Journey” (October 19 to 29). The life-changing, body/soul cleanse includes all lodging/food/entertainment/supplements and classes at this award-winning B&B. Participants learn about delicious vegan food preparation while they relax and enjoy communing with dolphins and snorkeling in pristine bays. Or call Barbara at (808) 238-1906. (Scholarship application available through Instagram@dragonflyhawaii). A limited number of scholarships are available. If you would like to attend, but the cost would create financial difficulty for you, please feel free to apply for a partial scholarship through Instagram (@dragonflyhawaii. The legendary Dragonfly Ranch: Healing Arts Center is offering 10-day transformational retreats to parties of 10 to 15 people starting in June 2017. Price to be determined but the basic cost will always be between $200 and $300 per day for what Dragonfly provides. Additional excursions to the Volcano, Hapuna Beach or Mauna Kea as well as guest speakers or entertainment etc. can be arranged for an additional fee. It may be $300 a day for 5 nights, $250 a day for 7 nights and $200 a day for the full 10 day retreat. Organizers add their fees. * Learn from health care experts about how to improve your health. See my Closer Look Story. (All of the above are optional. Whatever part of these offerings you want are provided as part of the CLEAN BURN SHAPE 10 day package. Those staying for the week only, can take the remaining 3 day supply home to complete the cleanse! The REGULAR cost for all food, lodging, training, sauna, snorkel gear, exercise classes, etc.- AND Orenda products is $2297 ($328 all inclusive per day). Those of you who want to sign up for the "early bird special" will get first choice of rooms, along with a $300 discount: $1997 for your 7 day stay at the Dragonfly for the CLEAN BURN SHAPE weight management/cleanse. The FUN is included for free! This is a grand opportunity to transform your body/mind/spirit (and for some: your pocketbook) while having a healing/educational/fun 7 days in Hawaii. Additional days of stay are OPTIONAL and would cost $200 per day. An upcoming ORENDA CLEAN BURN SHAPE workshop can be seen as 10-DAY TAX WRITE-OFF VACATION/TRAINING. Anyone wishing to become an Orenda partner (no charge) or a manager, (getting a 40% discount on future orders of Orenda products), can investigate sharing the Orenda business with others - making your whole 10 day Hawaii business trip be a tax write off! Would you like to fashion a “New You” in 2015? Start the New Year with a 10-day transformational weight loss/cleanse at Hawaii’s legendary Dragonfly Ranch: Healing Arts Center on Big Island’s Kona Coast. Can you imagine following through with your resolution to finally return to your perfect weight with vibrant health? You can lose up to a-pound-a-day with ease, while enjoying “healthy pleasures” at this eco-spa hideaway. All meals, lodging, entertainment, natural supplements and educational programs are included in the 10-day package, beginning Jan. 3, 2015. During this week at Barbara’s quirky B&B home overlooking the Kona Coast she will be offering optional spa pampering including exercise classes, far-infrared sauna, use of the “Illumnarium” – an open-air yoga space with a view and an 11-circuit labyrinth, lomilomi (Hawaiian massage) as well as more unique activities including aka aka (Laughter Therapy) and Puppy Therapy (with 3 month old Precious Lucy - free of charge). There will also be the chance to swim with wild dolphins in one of the three surrounding bays. To understand the nature of this cleanse, see www.CleanBurnShape.com/partner/40927. 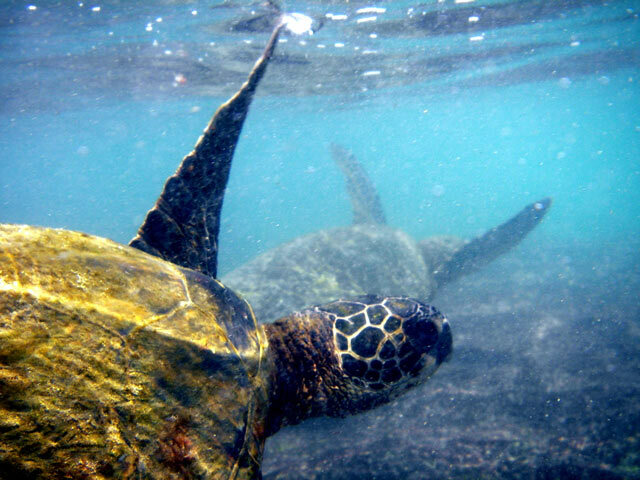 For more about the accommodations or to secure your spot see www.dragonflyranch.com or call Barbara Moore at 808-328-2159. Would you like to learn with Astrologer Henry Seltzer in Hawaii? Henry's book on the new planet, Eris, is coming out in mid- February and he is celebrating the occasion by offering an intimate weekend workshop in Hawaii near Kona! This is also the weekend before the River of Stars conference beginning the following Thursday on the other side of the Big Island. "In this cogent study of Eris, Henry Seltzer is doing bold, groundbreaking work on the astrological frontier. I've marveled at the slowness of the astrological community to embrace this new planet despite its being slightly bigger than Pluto. Perhaps that is because these new worlds always represent new, emerging possibilities in consciousness, and thus tend to frighten people. Thank you, Henry, for not being afraid." — Steven Forrest, author of "The Inner Sky"
"It's not often that a professional is on the cutting edge of his field but Henry Seltzer is no stranger to breaking new ground in astrology. In this latest contribution, he graces us with pioneering insights on Eris – a dwarf planet that he proves deserves consideration. The pages are filled with well researched chart examples and analysis supporting his archetypal views on how Eris functions in a horoscope. This book deserves space in your mind and on your shelf; Seltzer's contributions on Eris is a definite enhancement to astrological theory." Over the weekend you'll receive a hands-on astrological experience with master astrologer Henry Seltzer using the depth- oriented planetary archetypes of Chiron - the Wounded Healer, Pluto, and now Eris. On Saturday afternoon, participants will gather, register and mingle - no special arrival time. A sumptuous dinner will be served at 6:30 or 7 PM. After dinner we will all circle and introduce ourselves. Henry will share his vision for the Sunday workshop and subsequent 3-day retreat that follows, answer questions about his material on the new planet, Eris, and describe some particulars on what he will be presenting. He may be moved to discuss his arc of development in arriving at these revolutionary astrological insights he has gained regarding this brand-new Western archetype. There will also be a chance for each participant to speak about their own vision for what they will learn and perhaps describe what brought them to the workshop. Sunday morning there will be a lecture and again in the afternoon, presenting Henry's research on Eris that demonstrates the nature of this new astrological archetype – that Henry calls A Spiritual Warrior for Soul Intention – using many chart examples. These will be interspersed with hands-on workshops using each participant's natal chart. Everyone will get to practice. Each participant will also receive a signed copy of his forthcoming book from Wessex Astrologer, The Tenth Planet: Revelations from the Astrological Eris. Fee includes dinner and accommodation on Saturday night as well as meals on Sunday. There is also the option to extend your stay with a three-day retreat and astrological workshop, see below. For those who would like to go more in depth and also enjoy their stay in Hawaii there will be a continuing astrology workshop with guided snorkel expeditions amongst other activities, as well as several hands-on sessions with Henry. We will continue experiential work with charts using the depth archetypes as outlined above. Total for Weekend workshop plus three-day retreat: $1249. Early bird registration is $1129 until January 7th. There is a limit of 15 participants and these slots will fill up very fast, so early reservation is recommended. The Dragonfly Ranch: Healing Arts Center in Honaunau is proud to host the healing duo of Yumi and Gen Morita. They have been offering short Harmonics Healing introductory workshops each month at the Dragonfly followed by one-on-one consultations in an open clinic style. The workshop consists of a presentation along with demonstrations and practices for participants. Knowledge will be shared of anatomy, including where organs are and what they do. A Japanese method called Soto Therapy that uses specific heat applications on organs will be taught. Sotai Exercise, how to move the body in gentle, comfortable positions for improved healing, will also be shared. Gen and Yumi have been practicing and teaching this complete healing system based on traditional Japanese medicine for 20 years, and have led over 200 workshops. Both are currently directors of Hawaii College of Oriental Medicine (HICOM) which is based in Kailua, Kona. After the free workshop, the Morita healing team will be available for half-hour private consultations. Harmonics Healing holds the principle that since the body tends towards wellness and realigning with natural energies, this technique will encourage swift healings. Gen Morita says, "Giving the body the proper care and nutrition will create health for our us and our environment. Using 'Life Energy Testing,' a simple energetic feedback system similar to muscle testing, Yumi acts as the interpreter to help patients determine foods, medicines and behaviors that will support or harm the body's natural healing process." Presentation and workshop will be from 1-3 PM one Sunday a month, with refreshments included. The open clinic will be directly following. Barbara Moore, soul proprietor of the Dragonfly Ranch: Healing Arts Center says, "It is a privilege to host these amazing healers who moved here after the disaster in Japan last year. Gifting donations is appropriate and will be gratefully appreciated by these talented healers who are blessing us with their gifts." To learn more about this healing couple's use of subtle yet powerful healing techniques, see their site on the web at harmonicshealinghawaii.blogspot.com. Anyone wishing to attend is asked to come a few minutes early to the this center for healing. The Dragonfly Ranch is located at 84-5146 Keala O Keawe Road, just above the historic Pu'uhonua O Honaunau National Historical Park, 1 1/2 miles down from the Honaunau post office. Guests are welcome to come early to relax and look around as well as stay late to visit and spend time in the productive organic garden. In the "Aloha Aina" tradition, visitors are welcome to "give to the land" or contribute to the calabash before taking from the overflowing organic vegetables. Moore and her ohana team of this award-winning B&B welcome visitors to walk the labyrinth, and tour the rooms as well as the healing spa facilities. Do you need help sleeping? Want healthy digestion and elimination? How about mental clarity and balanced emotions? Leaders in new-paradigm thinking about aging healthfully will be on the Big Island leading a series of presentations on regenerative medicine and natural ways to promote wellness. Returning to lecture on the Big Island for the sixth time, internationally celebrated MD, Ph. D. research scientist and anti-aging specialist, Dr. Shanhong Lu, uses an informative power point presentation to show exactly how toxins and stress negatively affect body chemistry. She then offers solutions that purify and re-balance the body. Dr. Lu, who practices medicine in Mt. Shasta, has sparked a health renaissance with her visual, witty and science-based public appearances, which have inspired thousands of people to take charge of their wellness. According to Dr. Lu, her mission is to "empower each individual to awaken the doctor within, giving the body a chance to heal and live at it's optimal potential." She gives positive suggestions about how to heal and balance by supporting the body with a paradigm shift called "Awaken, Cleanse, and Feed." Originally from China where her mother is a heart specialist and her grandmother was a midwife and a traditional Chinese medicine practitioner, Dr Lu integrates Eastern and Western medicine to optimally provide individuals the best of both worlds. She says, "I want people to take charge of their health and become their own doctors." Dr. Sharon Olson, an integrative osteopathic family practice physician from Waimea, is giving an introduction for Dr. Lu's anti-aging lectures. Like Dr. Lu, Dr. Olson believes in promoting proactive healing through integrative medicine. Dr. Olson says, "We have found a program that uses scientific breakthrough technology to enhance the body's own natural healing ability." These two integrative physicians emphasize the importance of this information, especially when we recognize that we are living in a "sea of toxic chemicals" (including vog), experiencing chronically high levels of stress. "We believe in a leadership model that lifts people up." "After meeting Orenda co-founder brothers, George and Bob Hall four years ago" says Barbara Moore, "Soul" Proprietor of Dragonfly Ranch, "I became convinced that Orenda is a company I dearly love. I feel especially honored to introduce George Hall to this community as I know him to be an authentic gentle man of impeccable integrity." Moore adds, "By thoroughly investigating nutritional advances that allow us to deal with toxins and stress we are involuntarily subjected to, this company has given me tools that vastly improved my life." The Hall brothers also share knowledge and profits broadly through the Heart of Orenda Fund, which supports charities like Smile Train, Child Help-USA, Doctors Without Borders and Vitamin Angels, among others. Moore adds, "Thanks to Dr. Lu, it has been my privilege to introduce my friends, doctors and the Big Island community at large, to an amazing team of healers and healing tools. The Hall brothers have generously combined cutting-edge health science and good business practices to truly help heal the world." George Hall and Drs. Lu and Olson will give five talks on the Big Island, starting at the Dragonfly Ranch: Healing Arts Center on Feb. 19th from 6 to 8. A short presentation will be given at the Regency at Hulualalai on Feb. 20th from 3 to 4pm followed by a longer talk that day at the Kona Beach Hotel yoga studio from 6 to 8pm. In Hilo, the lecture will be held at the University Campus Center, Room 306 from 6 to 8pm on Thursday, Feb. 21. The final presentation will be hosted at the Waimea Events Salon from 6 to 8pm on Friday, Feb. 22. All five lectures are free and open to the public. Free samples of healthy "undutched" chocolate and high antioxidant aronia berry juice will be served for refreshments.